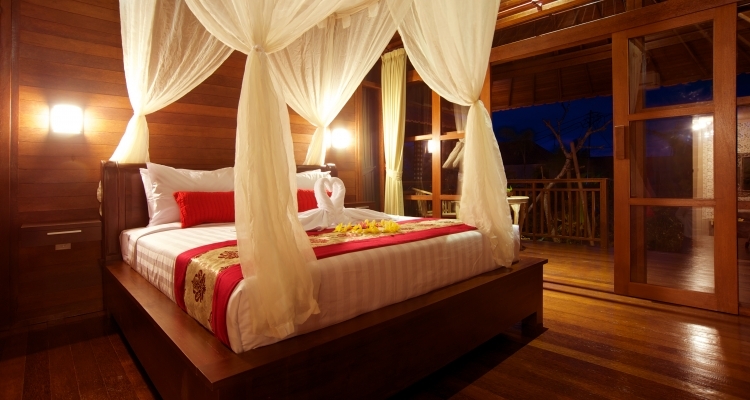 Suitable for couple, a platform villa made of wood with beautiful garden view. 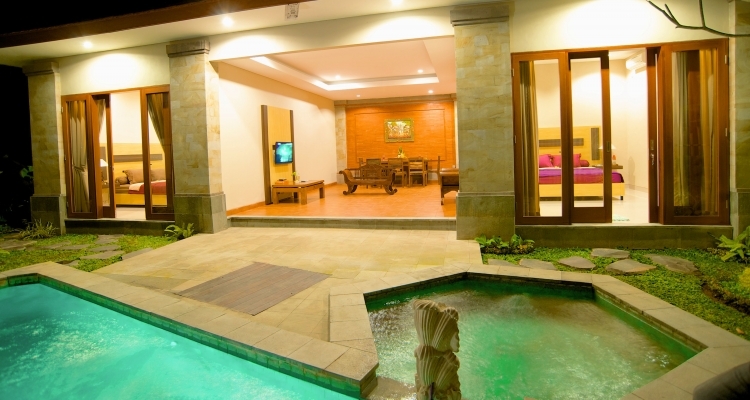 Enjoy your stay in Ubud with our peaceful and relaxing sorroundings. 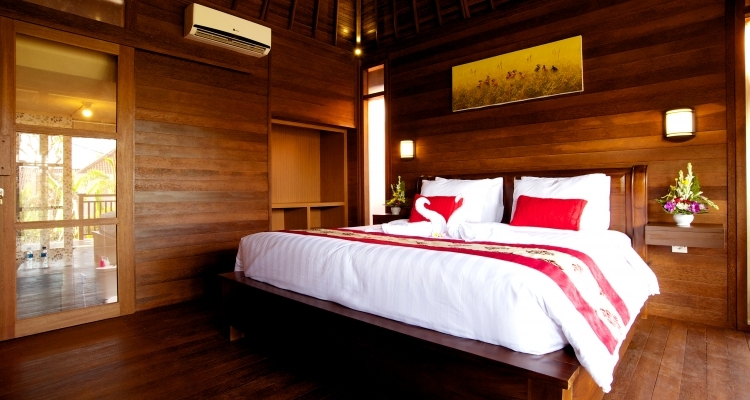 we have 10 rooms available and can be choose as double or twin bed room and please describe inquiry for room type. Beautiful platform villa made of wood, with balcony and beautiful garden view. This room has direct access to the public pool and the public breakfast area. Want to have a getaway with your family? Our Family Suite Room built on 100 m² land, with private swimming pool, 2 Suite Bedrooms with King Size bed, suitable for two little families. Beautiful garden view terrace, and complete kitchen set and dining room also available.